Like the cable and phone companies, Canadian banks are often accused of trying to gouge customers with service fees. The justification from Canada&apos;s Big Five financial institutions is that they face increasing revenue pressures as a result of low interest rates and the sagging price of oil. But the government&apos;s decision this week to back an opposition motion to rein in banking fees suggests anti-bank sentiment is so strong right now that it even crosses party lines. "There&apos;s anxiety out there among consumers about banking fees," says Ken Whitehurst, executive director of the Consumers Council of Canada. "The political parties are trying, in their own way, to tell consumers that they&apos;re listening." On Monday, the NDP introduced a motion to ban a number of bank fees, including charges for paper bills, and enact a mandatory code of conduct that would protect consumers. One of the concerns is "pay-to-pay" fees, such as charging customers a fee for credit-card payments and scheduled mortgage payments. All of the so-called Big Five banks — Scotiabank, CIBC, TD Bank, BMO and RBC — have recently raised fees. "It&apos;s gone beyond reasonable and most Canadians agree with that," says Andrew Cash, the NDP MP who introduced the motion. In a statement confirming the Conservatives&apos; support of the motion, policy adviser Christine Maydossian said, "Our government understands the concerns of Canadians who feel nickel and dimed by bank fees." She added that the government has already introduced "tough measures to protect Canadians from predatory banking practices." 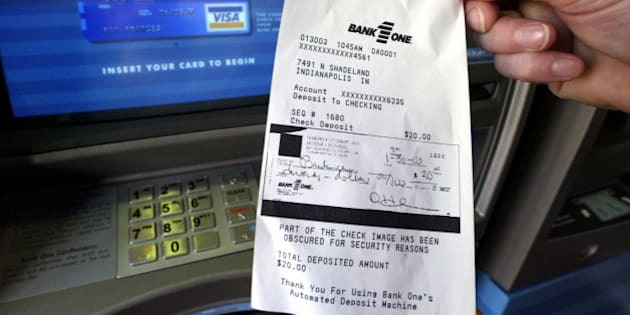 In a statement, the Canadian Bankers Association said, "Major banks have never charged their customers a fee to receive a paper bill by mail for things like credit cards, loans or lines of credit when money is owed to the bank." It also said the banks "have made a commitment to the federal government that they will not charge customers for bills when money is owing." Increased public scrutiny of banking fees in recent weeks led at least one of the big banks to withdraw a new raft of charges. After complaints from customers, the Royal Bank said on May 22 that it was backing away from a plan to charge customers transaction fees for loans, mortgage payments and debit transactions on some accounts. Ian Lee, a management professor at the Sprott School of Business who spent a decade in banking in the 1970s and &apos;80s, says the pay-to-pay fees were a step too far. "I thought that they went over the edge, just in the court of public opinion," says Lee. "When you start charging somebody on the transaction whereby you&apos;re paying something you owe the bank — whoever [came up with] that should be fired." He says the proliferation of service fees reflects the fact that banks have to look for new revenue streams. For the longest time, Lee says, financial institutions kept banking fees low and were in fact running savings and chequing accounts as loss leaders in order to gather deposits to fund the lending side of their business. But about 10 years ago, partly out of increased competition from credit unions and virtual lenders such as ING (now Tangerine), the banks moved to start "unbundling" their account services and getting customers to shoulder the true costs of banking, Lee says. More recently, he says, banks have had to offset the drop in revenues due to low interest rates and the costs associated with keeping electronic banking secure. But he dismisses the idea that banks are taking advantage of their customers. He cites a study by the Financial Consumer Agency of Canada, which found that between 2005 and 2013, the average monthly fee on chequing accounts went up by 13.6 per cent — just shy of the inflation rate for that period, 14 per cent. "It may seem like the banks are gouging, but they&apos;re not," Lee says. Even so, the NDP&apos;s Cash says it&apos;s hard for the average consumer to have much sympathy for the banks when they read that the Royal Bank posted record earnings of $2.4 billion in the first quarter of 2015, up 17 per cent from the same time in 2014. "I think that they&apos;re doing pretty good," says Cash. The Consumer Council&apos;s Whitehurst isn&apos;t surprised by the banks&apos; profit motive. "Banks are always looking for ways to bring in more money — by definition that&apos;s what they do," says. But he says the average bank customer questions the rationale for increased fees in an era when the automation involved with electronic banking has presumably reduced the cost of processing individual transactions. "Consumers know that computerization is dramatically lowering, not raising, costs," says Whitehurst. "I think this is another thing that creates this discontinuity for people — they say, why aren&apos;t these [fees] falling?"